With the de-regulation of the financial market, easier access to credit, and the rapid growth in increasingly complex financial products, we find that many people lack confidence in their ability to manage their finances. Added to this, the government trend of moving away from retirement pensions means all Australians must take more responsibility for their own finances and retirement incomes. So, if you are to live a prosperous, healthy and happy life, it’s essential to get your finances in order. An important part of managing your finances well is finding the right mortgage solution. For many people this can be an overwhelming task. For us it’s simple. Our background in banking and finance, rather than sales, means we have the inside financial knowledge to offer you the best possible mortgage solution for your needs. Accreditation with over 25 lenders and 200 residential and commercial products at our disposal puts us in a unique position. Our motto is ‘customer first’ NOT ‘commission first’. It’s why we will pull out all stops to find you the best deal for your needs and circumstances. So that we can get to know your needs, we like to meet you face-to-face. But if that’s not possible, or you prefer the virtual approach, we can connect with you via skype, phone, email, or a combination of all these. As a small professional firm, we can offer you personalised service. When you do business with us you’ll be treated as a valued individual. We know that trust in our service is critical. That’s why all our brokers have direct experience with the major banks. At Curtis Financial, we offer quality mortgage solutions, not short-term, quick fixes. All banks are different and have their own personality. Our brokers understand this. Knowing how banks work is vital as it helps our brokers understand why certain products are offered and why others are not. This means we can match you to the right bank at the right time to create a long and fruitful partnership. Founder of the company, Director Mathew Curtis has over 10 years banking and finance experience, with seven of those years spent in a credit environment and three as a senior manager with a leading bank. 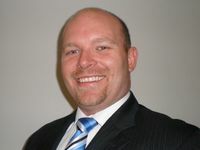 A family man himself, Mathew is passionate about helping his clients reach their financial goals. Mathew is also a Full Member of the Mortgage & Finance Association of Australia (MFAA).The MFAA represents professional credit advisers and provides professional development. Membership requires Mathew to continually remain informed of industry changes, ensuring that you receive the most up-to-date information. Did you know? Legislation came into effect in Australia in 2011 requiring that all mortgage brokers be licensed by the government. This includes satisfying a stringent set of conditions and practices in order to obtain and keep their licence long-term.